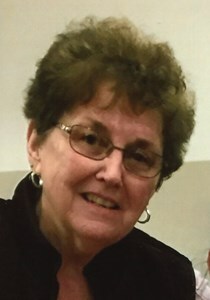 Donna Michele (Noon) Gapp, 74, of Floyds Knobs, Indiana, passed away peacefully on Thursday, April 11, 2019. She was born on September 20, 1944, in Sterling, Illinois, to the late Donald and Madge (Covell) Noon. Donna was also preceded in death by her daughter, Rebecca Lea Bade. Donna is survived by her loving husband of 56 years, Ronald Dean Gapp; daughter, Ronda Michele Sampson (Kevin); grandchildren, Ashlea Michele Darlene Bade, Charlsie Renae Douglas (Zachary), Emilea Darrell Ridener (Zach), Kyle Edward Kendall, and Kailen Lea Kendall; and great-grandchildren, Peyton Michele Douglas, Adyson Dean Douglas, and Jayse Wyatt Lee Douglas. Cremation was chosen following Donna's wishes. She will be laid to rest privately at St. Mary of the Knobs Catholic Church Cemetery. Contributions in Donna’s memory be made to St. Joseph's Indian School (1301 N. Main Street, Chamberlain, SD 57325). Please consider sharing a memory of Donna or leaving a special message for her family using the "Share Memories" section below. Add your memories to the guest book of Donna Gapp. I have 74 years of memories, but will share just a few. After Donna and Ron married (Ronnie was in my high school class and lived across the alley from us) they moved to Richmond VA, Memphis TN, Indianapolis IN and then Floyds Knobs, which meant that we had to travel to spend time together. Sometimes at our home, but usually in Rock Falls, at the farm or their home. Sometimes we spent time at a condo and this past February Donna spent 7 days with John and me in Tucson. I am so grateful that we had our week together. Wherever we were we could talk up a storm. One time Donna and I painted their fence and talked about books that we had recently read. My sister and I never fought, we shared our stories and supported each other. She was a thoughtful and caring aunt to our three sons and John and Ron enjoyed working on many home projects together. I will miss our long phone conversations and the custard pie that she would bake for me. I went to high school with Donna in Rock Falls, Illinois! Also knew Ronnie! Donna & I had many fun times together! She picked me up for school in her old car with running boards! Imagine that! Also knew her sister Ruth , her Mom & Dad, and her cousin Sherri & family! My condolences to Ronnie & all the family! Donna recently visited her brother-in-law, John Bradburn and sister, Ruth Noon Bradburn in Tucson, AZ. Ruth had spoken often about her sister and I met her for the first time when we went to the rodeo and for dinner. She was a delightful lady who talked lovingly about her family, home and hobbies and and travels across the states. My heart goes out to all of those who loved her dearly. It truly saddens my heart of Donna’s sudden passing. I met the Gapp Family 15 years ago and ever since they have become a second family to me. I’ll miss coming to their home and walking up to find Donna in the flower beds, yard, barn... and it wouldn’t have surprised me to see her on the roof! I rarely saw the lady sitting down! She was full of knowledge of all your gardening, cooking and fix it needs that I have come to find handy a time or two. I cherished the many talks I had with her- she was an honest lady who would share her honest opinion- not something you find in some today. I know she already is busy working in her new gardens and on various projects as Becky has shown her the lay of the land. Rest easy lady- you will be missed! Donna was always so sweet and fun to talk to . I always loved calling her coo-coo when she came in the office or when I ran into her and she never minded it . Mr. Gapp , Charlsie , Zach , Ronda , Kailen , Kyle and family you are in my thoughts and prayers. May God lay his hands on you and give you strength during this hard time. Heaven has another beautiful angel. So very sorry for your loss. You are in my thoughts.